Hi everyone, this is something a little different from usual. 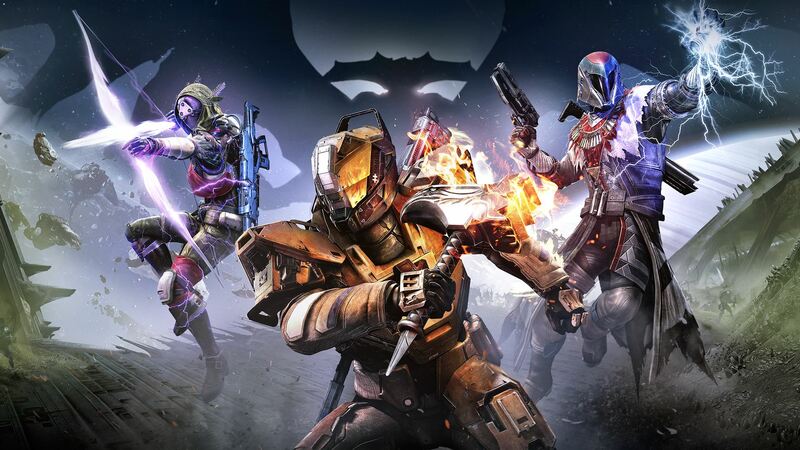 I want to talk about the console FPS MMO game Destiny. There’s an expansion for the game coming out next week called ‘The Taken King‘ and I want to talk how I’m personally weighing the options in order to decide if I should get it or not. Note that I’m not tell you if you should get it or not; but merely sharing my current experience in deciding if it’s for me. In fact, let me say this now: if you like Destiny or if you think The Taken King is worth getting, then get it! Don’t let my experience or (internet) comments deter you from getting the expansion if you think it’s worth it for you. To put my Destiny gameplay experience into perspective I played a ton of it every day since release. 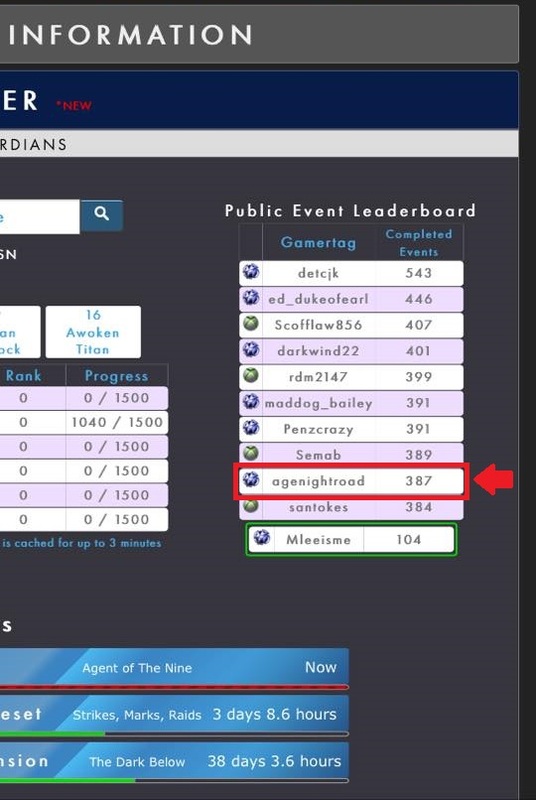 I was even Destiny Public Event’s top ten on the Public Events Leaderboards for a bit. I started to reduce my game time because I was getting burnt out on grinding so much. Around the first DLC, The Dark Below, I started playing regularly again but dropped off after a few weeks and only played if people needed someone for raids. Again, I came back to play the next DLC, House of Wolves, but that only lasted a week max as there was no new raid and I beat the story within 6-8 hours on all 3 of my characters. Now with the release of the Taken King coming, I’m at a dilemma of purchasing the expansion. I don’t really care if I’m essentially buying the game again, I got my year’s worth out of the game. In fact, my problem stems from not the box price, but if I’ll play more than a few weeks to warrant the purchase. So far the new fixes for UI and inventory have been great. I REALLY think the glimmer cap needs to be removed (this is seriously part of my top 5 things to fix). PvP was always solid in my opinion and would probably keep me playing if I was really into it. It’s the PvE that bugs me. The story that players got at release was pretty good. I thought that the DLCs would expand the story in that aspect but right now there seems to be no correlation between the original story and the DLC stories. May down the road there will be as I hear they’re revamping the storyline. Outside story, there are some other PvE options left. There’s dailies, strike playlist, the weekly Nightfalls and raids. Other than that you can farm public events and quests. All these things got a little stale for me over time. Unless you need to get to a certain rank, quests were things I got if they were easy to do or tied in to the content I’d be playing for the next hour or so. What I think Destiny needed is visible goals which is kind of what they’re adding in now with quests to earn new professions, weapons and so on. Right now, there’s no long term goals to go for after I finish content. If I want to prep for the next raid that comes out I’ll do it. Now, there’s also the friends aspect to consider. Destiny is an MMO after all. I still know a few people who play Destiny and even some coming back. Even so, I feel I won’t play substantially as I did back near release. The ultimate reason that I’m sharing this post is that a few months back Guild Wars 2 announced their expansion and people were wondering if it’s worth it for them. I’m an avid GW2 player so it was worth it for me, but right now I feel the same way about the Destiny expansion that those players on the fence felt about the GW2 expansion. If I hear of something amazing, something I know that will keep me playing for a good while then I’ll definitely buy The Taken King. For now, I’ll be keeping an eye out. Posted on September 11, 2015, in Destiny, Games and tagged bungie, Destiny, expansion, house of wolves, the dark below, the taken king. Bookmark the permalink. Leave a comment.